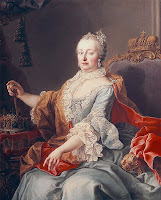 Marie Antoinette was the fifteenth child born to Empress Maria Theresa of Austria and Emperor Francis Stephen. By the time the Empress gave birth to Marie Antoinette, she was so accustomed to child-birth that she barely took notice of her labor pains. 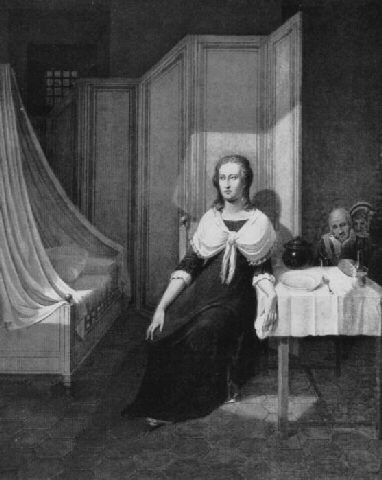 Marie Antoinette was born on November 2 during the early morning hours. Her mother, the Empress, had spent the previous day having a rotten tooth extracted and attending to paperwork. No lilting flower, that one! Marie Antoinette once played with Wolfgang Amadeus Mozart? The young musician was giving a concert at Hofburg in Vienna at the request of the Empress. After the performance, the precocious performer chased the archduchess Maria Antonia (as she was called in Austria). They had a rousing good time chasing each other through the palace halls. At the end of their playdate, Mozart impulsively and impetuously announced that he would marry Maria Antonia when they got older. Marie Antoinette had to leave nearly everything behind in Austria when she became the dauphine of France? She was appointed a new French governess/chaperone, whom she detested. She was also ceremoniously stripped of her Austrian clothes. Finally, she was given a new French name. No longer would she be called Maria Antonia but Marie Antoinette. Marie Antoinette's marriage was not consummated on her wedding night? Louis XVI, fat, awkward, and painfully shy, fell asleep without even kissing his new bride. Marie Antoinette spent a lot of time in frivolous pursuits as a way of hiding her loneliness, unhappiness in marriage, and pangs of homesickness. Marie Antoinette loved fashion. 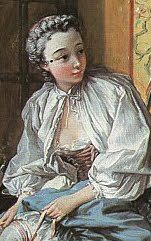 In 1782 she ordered 93 dresses from the modiste Rose Bertin. She favored lavender-blue chine and fabrics patterned like marble or foliage. At a time when bolder and darker colors were in fashion, she could be seen in beautiful lilac gowns. Marie Antoinette gave birth to her first child, Marie Therese Charlotte, in a room jam-packed with courtiers and spectators. Marie Antoinette had no privacy. The room was hot and stuffy and Marie Antoinette fainted. A doctor ordered a bloodletting. Louis, concerned about his wife and traumatized by the events surrounding the birth of his first child, ordered subsequent labors to be off limits from spectators. Marie Antoinette called her daughter, Marie Therese Charlotte, Mousseline Serieux because she was a serious child. Marie Antoinette would suffer from miscarriages. Her second daughter, Sophie Beatrix, died suddenly before she was a year old. Both of her sons died of tuberculosis. Marie Antoinette liked to gamble and was especially fond of faro and billiards. 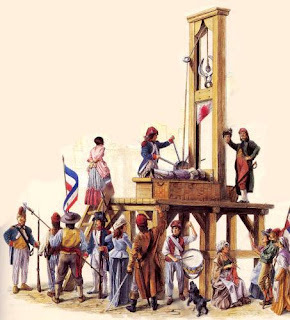 Marie Antoinette called the old court hags and frumps. There is no proof that Marie Antoinette ever said, "Let Them Eat Cake." Marie Antoinette had a peasants village built on the ground of Versailles and not far from Petite Trianon. The village, called Le Hameau, was complete with a dairy, a watermill, and charming thatched cottages. 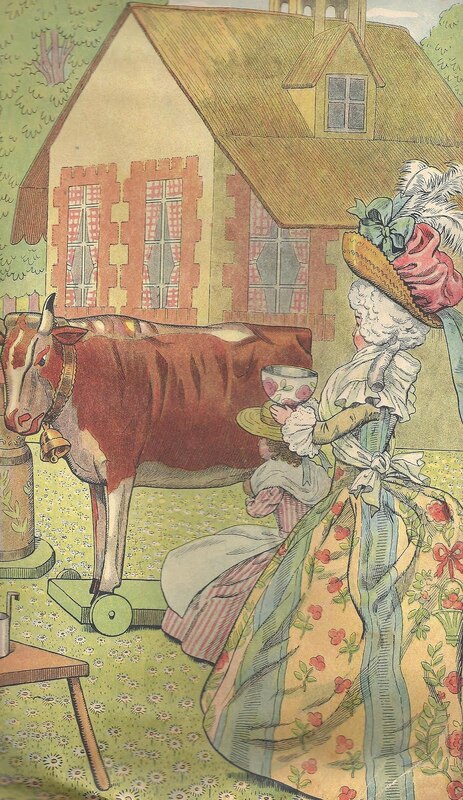 At Le Hameau, Marie Antoinette liked to don simple peasants gowns and milk her cows (One of them was named Blanchette). She also hosted card parties and poetry readings there. There's an unsupportable tale that the chalices used to gather milk at the dairy at Fountainbleau were actually made from a mold of Marie Antoinette's breast. Another tale, says it was the champagne flute that got its shape from the queens breast. Marie Antoinette used the word "friendship" a lot and was, herself, a devoted friend. Several of her friends risked their lives to stay near her during the Revolution. 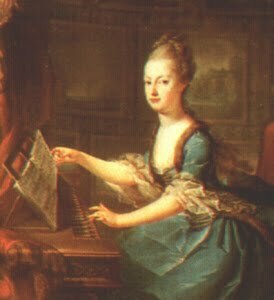 Antoinette was taught to play the spinet and harpsichord by Master Gluck, a composer she supported later in life. She loved music and was painted several times with her harp in a the portrait. There stands a harp in the salon at Petite Trianon that may very well have hers. Marie Antoinette once disguised herself as a nun and set an appointment with the king. She fooled him and had great fun laughing about the matter afterwards. Shortly before being captured by the angry mob that marched on Versailles on October 5, 1789, Marie Antoinette gathered her friends together in the Salon Dore and said, "I know that they are coming for my head but I have learned from my mother not to fear death and I await it with resolution." Marie Antoinette suffered from painful and heavy menstrual cycles shortly before her death which would cause her to bleed through her clothes. The jailers at the Conciergerie kept the queen in a basement cell. The cell had two doors, one that was of normal height and one that was very short. They entered through the regular door but to humiliate and degrade the queen, they would make her exit and enter through the small door. The Conciergerie is now an office building and museum. Visitors can tour a portion of the cell where Marie Antoinette spent her final days, though some alterations have been made. Louis XVIII, Marie Antoinette's brother-in-law, had part of the cell turned into a chapel in memory of his brother, sister, and sister-in-law. It is a beautiful room with stained glass windows, gold leaf wallpaper and rare paintings. You have left a comment on my blog! Merci beaucoup! 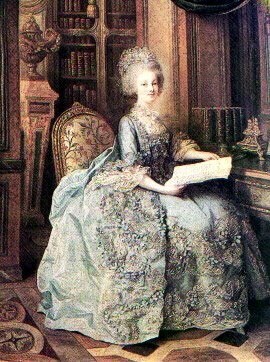 I hope to you will visit Titillating Facts About the Life and Times of Marie Antoinette again soon! Until then...au revoir and bonne chance! Did She Really Say, "Let Them Eat Cake!"